If you are married with kids, the time between Halloween and New Years is heavily focused on the children. From Halloween Costumes to getting the presents under the tree, there is not much down time to celebrate the holidays like you did without kids. This year, I decided to celebrate the 12 days of Kissmas with my husband. It is so easy to get caught up in the craziness of the holidays that you forget to celebrate with each other. So what exactly does the 12 Days of Kissmas entail? Making small gestures for each other really does create a romantic atmosphere and makes the other partner feel special and needed. From having dinner alone when the kids are asleep to running a bubble bath are simple but thoughtful ways to say “I love you”. I have listed a few things you can do during your 12 Days of Kissmas. If you want to stay on task, I created these free printable coupons to give to your partner that they can redeem. Maintaining a healthy love live is a great foundation for a good marriage. Don’t be content with the norm, try something new. Give each other a must deserved massage. Put a love coupon in your spouse’s briefcase/ lunch box so they can think about you all day. Take a break from shopping and do something you enjoyed doing while you dated, bowling, playing darts at a bar, anything. Set the alarm 30 minutes before the kids wake up one morning….. 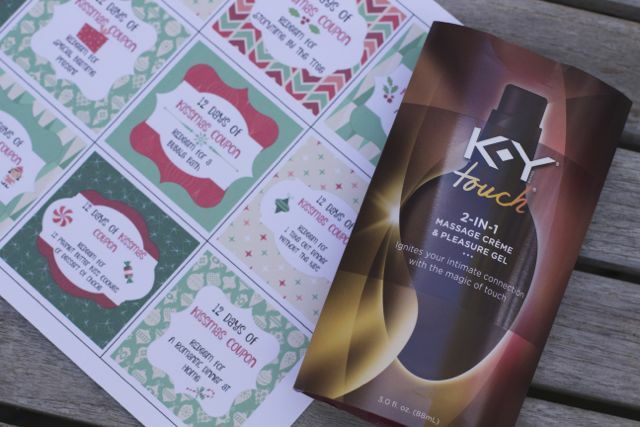 The final coupon can be a fun little bedtime package filled with the new K-Y® TOUCH®. 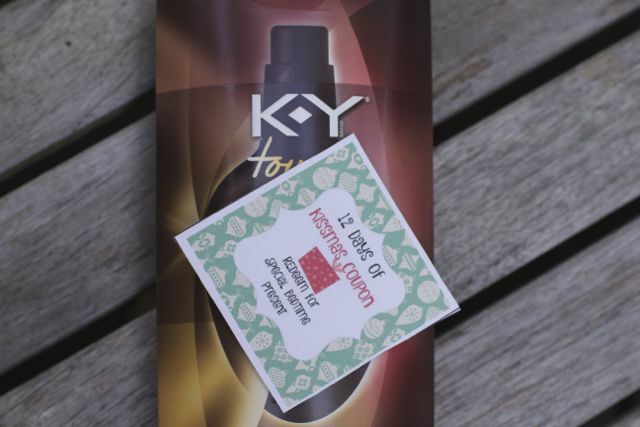 K-Y® has been around over 100 years and understands the need for couples to explore new things and have more positive intimate experiences. Who does not like a massage at night? Now you can add some spark to that. Santa brings tons of surprises for your kids, isn’t it time to bring some HO HO HO into your bedroom this year. 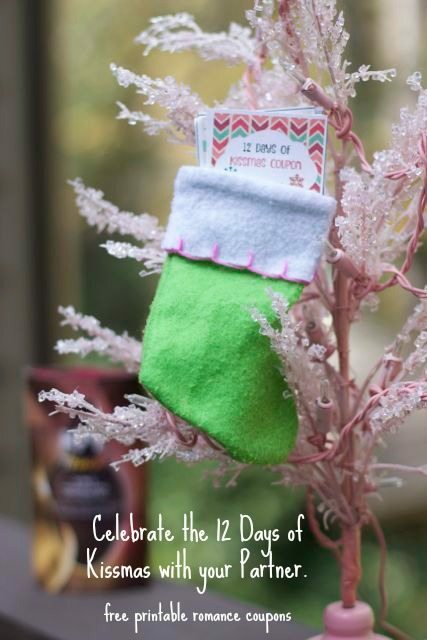 Head to the Family Planning section of your Walmart with this $2 Off Coupon and start your 12 Days of Kissmas! Such a fun idea. I love the coupons. Also, we need to try this! ha! Great ideas. It’s so easy to get lost in parenting mode sometimes that it’s important to keep the surprises and little gestures coming and to just take time for each other. The coupons are such a fun idea. Being busy with kids it can be hard to keep the spark alive. These are some great ways to do that. OMG Joanne did he just fall out of his chair when that happened!! I love that you suggested putting lingerie on their pillow because it reminded me of what I used to do. I put it in my husband’s lunch bag wrapped in a cloth napkin. 😉 Those massaging gels are great! It is so important to make sure to give the spouse some much needed time, especially when life is crazy. 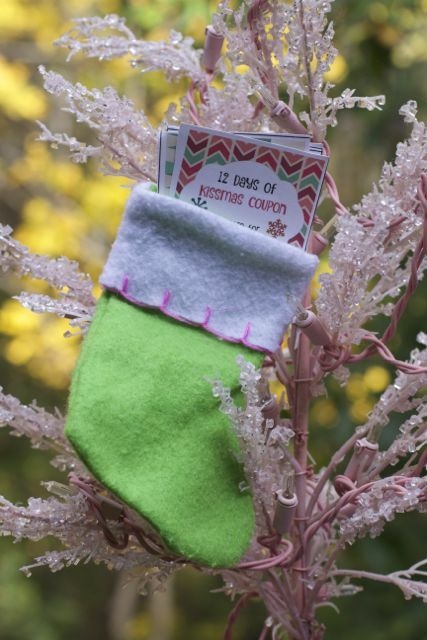 The coupons are such a cute way to make sure you stay connected during the holidays. It’s easy to forget our significant other in the busyness of the holidays. These are great ideas to keep romance alive when life is busy!